Our product range includes a wide range of basil oil, eucalyptus oil, lemongrass oil, wintergreen oil, pine oil (22,32,42 all grade) and sesame oil. 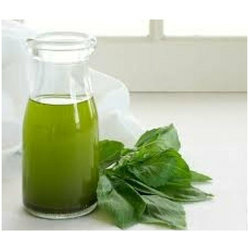 Owing to the wide experience in this domain, we are instrumental in offering Basil Oil to our clients. A native to Australia, Eucalyptus Hydrosol is extracted through a process where Eucalyptus leaf water is steam distilled from leaves twigs. It has a fresh, powerful camphoraceous-cineole aroma and has the medicinal antiseptic use. It is also used for inhalation purposes during colds, sinusitis general catarrh. Eucalyptus oil has a powerful antiseptic nature and finds wide application in baths massage during the cold season. Eucalyptus leaf water extract is also very effective against airborne viruses bacteria. Additionally, it can be used as the inhalation for colds, sinusitis general catarrh. 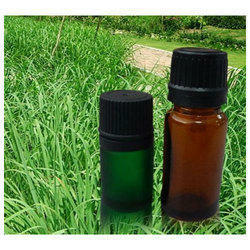 We have gained a remarkable position in the market that is involved in the offering Lemongrass Oil. Wintergreen is a native to North American. It is used for aches and pains and to help to breathe while hunting or carrying heavy loads. It is a small evergreen herb which grows up to 15cm (6 in) high, with slender stems, leathery serrated leaves, and drooping white flowers, followed by fleshy scarlet berries. 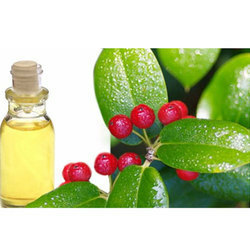 Menthyl salicylate is the principal constituent of this plant and has been incorporated in liniments and ointments for muscular skeletal problems. Ingesting menthyl salicylate even in small amounts may result in fatal poisoning. We are engaged in offering a pure and quality range of Pine Oil, which is obtained from pine (pinus sylvestris) needles, twigs and cones.These are naturally deodorizing and antibacterial used in aromatherapy. In addition, the Oil can also be used as a cleaning product, scent in bath oils, and as a lubricant in small and expensive clockwork instruments.We offer these Oils in attractive and durable packaging options to ensure that the products reach clients site safely. Sesame oil (Til Oil) is reputed to penetrate the skin easily and is used in India for oil massage. Sesame oil is specially used for massaging as it is believed to rid the body of heat due to its viscous nature upon rubbing. It is also used for hair and scalp massage. Sesame oil is used in the manufacture of Ayurvedic drugs. 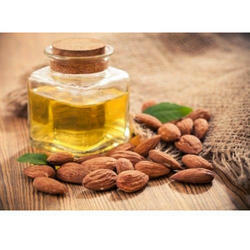 It is also used in many cosmetic applications, including as a carrier oil. In Hinduism, sesame or "til" oil is used in deepa or oil lamps kept in front of shrines for the Deities. Sesame oil is used for performing puja in Hindu temples. Also, particularly in South India, sesame oil (Til Tel) is applied to the stone deities in the temple's shrines. It is only used on Deities made of black granite. 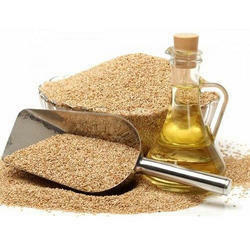 Sesame oil is a source of vitamin E. Sesame oil (Til Tel) also contains magnesium, copper, calcium, iron, zinc, and vitamin B6. Matching up with the ever increasing requirements of the customers, our company is engaged in providing Black Pepper Oil. 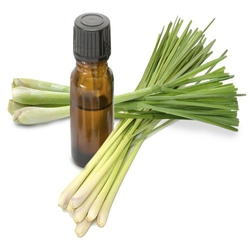 We have been counted amongst the most trusted names in this domain, engaged in offering a standard quality range of Citronella Oil. 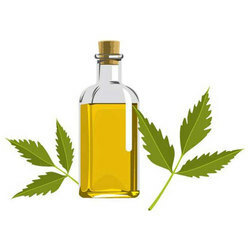 Keeping the diverse requirements of customers in mind, we are instrumental in providing Neem Oil. This oil is useful for fever, loss of appetite, tiredness, coughs and intestinal worm infestation. 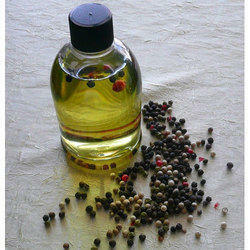 Helpful for healing wounds and to combat vomiting, excessive thirst and skin disease. The oil derived from crushing the seeds is a powerful anthelmintic compound and has a very wide spectrum of action and is highly medicinal in nature, which includes being a spermicidal compound as well as anti-bacterial, anti-fungal, etc. Health benefits of Basil Essential Oil Basil essential oil is a kind of essential oil widely used in aroma therapy. 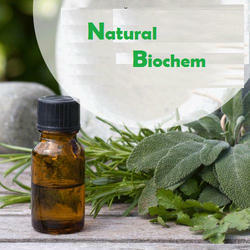 Sourced through the Ocimum basilicum plant, basil essential oil is considered to provide a number of health advantages. Basil oil or sweet basil is a common name for the culinary herb ocimum basilicum and it is extracted by the process of steam distillation. Basil can also be propagated very reliably from cuttings in exactly the same manner as 'busy lizzie', with the stems of short cuttings suspended for two weeks or so in water until roots develop. Once a stem produces flowers, foliage production stops on that stem, the stem becomes woody, and essential oil production declines. To prevent this, a basil-grower may pinch off any flower stems before they are fully mature. Because only the blooming stem is so affected, some stems can be pinched for leaf production, while others are left to bloom for decoration or seeds. 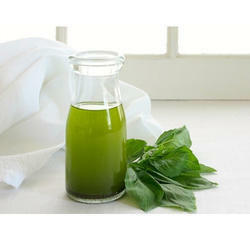 Basil oil is pale greenish-yellow in color and has thin consistency and strength of initial aroma is medium. It is a watery viscosity. It is sweet, herbaceous, licorice like, slightly campherous. Basil essential oil includes a variety of substances considered to boost health. These types of compounds consist of linalool, an ingredient proven to decrease stress in a number of scientific tests.Basil Essential Oil has been known as 'the royal oil to boost the mind as well as heart as well as to strengthen resistance against infectious diseases. 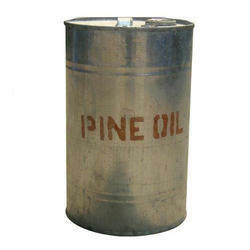 We are offering Karanj oil to our clients. 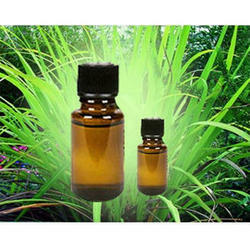 We are offering Palmarosa oil to our clients. 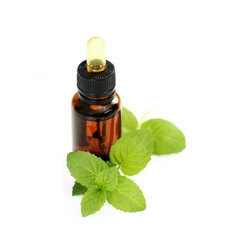 Peppermint oil is derived from the peppermint plant -- a cross between water mint and spearmint -- that thrives in Europe and North America.Peppermint oil is commonly used as flavoring in foods and beverages and as a fragrance in soaps and cosmetics. Peppermint oil also is used for a variety of health conditions and can be taken orally in dietary supplements or topically as a skin cream or ointment.Some evidence suggests that peppermint oil may help relieve symptoms of irritable bowel syndrome and indigestion. 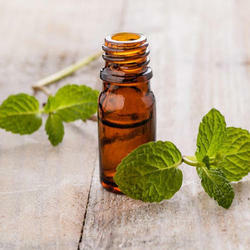 But despite promising research, there is no clear-cut evidence to support its use for other health conditions.When used as directed, dietary supplements and skin preparations containing peppermint oil are likely safe for most adults.Peppermint oil may cause side effects such as heartburn and it may interact with certain medications. Talk to your health care provider before using peppermint oil. In dietary supplements, peppermint oil has been tried for a variety of digestive problems including Irritable bowel syndrome Indigestion Heartburn. 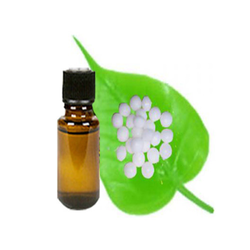 To meet the variegated demands of the clients, our company is instrumental in offering an excellent quality range of Camphor Oil. Leveraging the skills of our qualified team of professionals, we are engaged in providing Capsaicin Oil. The Garlic Oil we offer is of high quality and used to prevent certain types of cancer, including stomach and colon cancers. Garlic has antibacterial, antiviral, and antifungal activity. 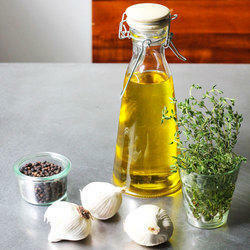 Garlic oil prevents heart diseases. It is used to prevent infections and to treat colds, bronchitis and flu symptoms. It is a powerful detoxifier and is regarded to rejuvenate the body and relieve tiredness. 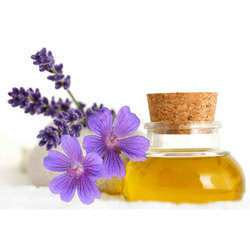 We are the most trusted name amongst the top most companies in this business, instrumental in presenting Geranium Oil. Black seed oil is made from the seeds of the black cumin (Nigella sativa) plant, which belongs to the ranunculus family (Ranunculaceae). The black cumin plant is native to southwestern Asia, the Mediterranean and Africa. It has been grown for centuries for its aromatic and flavorful seeds that can be used as a spice or as an herbal medicine. 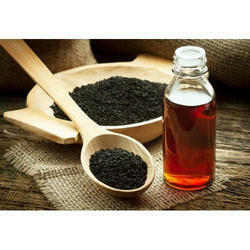 Black seed oil is also commonly called black cumin seed oil. Be careful, as black seed should not be confused with true cumin (Cuminum cyminum), black pepper, black sesame or black cohosh. Quite possibly, the most promising research has been done connecting Nigella sativa to multi-drug resistant bacteria.Cumin oil are antiseptic, anti-spasmodic, antitoxic, bactericidal, carminative, digestive, diuretic, emmenagogue, nervine, stimulant and tonic. Helps Fight Cancer, Promotes Liver Health, Combats Diabetes, Aids Weight Loss, Protects Skin, Benefits Hair, Treats Infections,Improves Fertility, Balances Cholesterol. 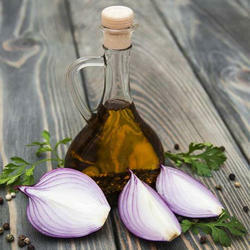 We are offering Onion Seed Oil to our clients. 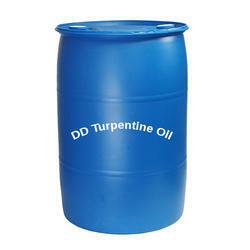 We are offering DD Turpentine Oil to our clients. 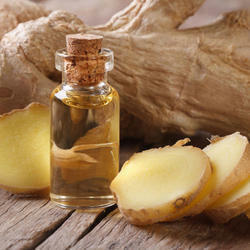 We are offering Ginger Oil to our clients. 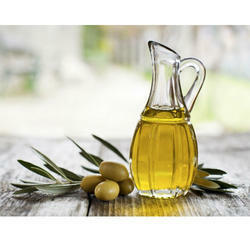 We are offering Olive oil to our clients. Geranium is really a perennial shrub along with small pink flowers as well as pointy leaves which is native to South Africa. 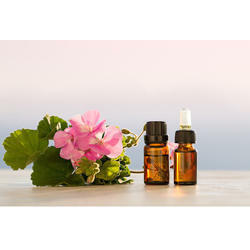 Geranium oil is non-toxic, nonirritant and usually non-sensitizing - and also the therapeutic qualities of include being an antidepressant, an antiseptic and wound-healing. 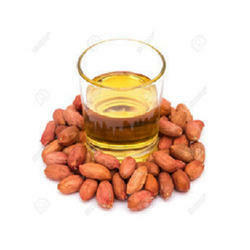 We are offering Sweet Almond Oil to our clients. 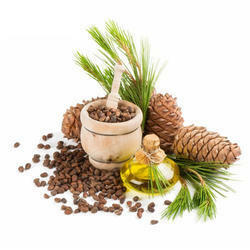 We are offering Cedarwood Oil to our clients. We are offering Spearmint Oil to our clients.